Drones are used for a number of things all across the globe but what most people don’t realize is that this amazing toy that impresses people of all age groups can also be used for photography. Yes, a number of photographers are now trying to spruce up their photography skills with the use of a drone. If you are a photographer and you want to stand out with your photography skills then you might want to consider investing in a drone that comes with a high end camera fitted into it. If you thought that drones were not going to assist you in photography in anyway then here are some of the benefits that you can get out of a drone for your photography. Drones can capture a 360 degree angle from the sky which ensures that it can cover a larger area and still focus on what is most important. This is not possible with the use of a camera that is at ground level. The picture that drones capture is simply breathtaking because it can capture spaces and places that no other cameraman can ever capture. Since drone photography is not so popular yet, it is highly appealing to people and it is something that you can set a good price on. Uniqueness and innovation is something that most people crave for today and since drone photography hasn’t gained a lot of name in the market yet, it is the best time for you to establish your name by using this photography to impress people with versatile pictures that nobody else can capture. The use of your drone can help you capture images from an angle that were never ever imagined before. Whether it’s raining on a mountain top or wildlife photography, it looks a lot more beautiful with the help of a drone. Using a drone to capture pictures is a smart idea because it will not take as much time as it would for you to try and get these images any other way. Drones are really easy to control and you don’t need a large team of people to help you get this done. All you need to do is fly the drone in the right angle and you will be able to click as many pictures as possible. Cameras that are fitted into the Drone are high definition cameras that capture images which are clear and crisp. You can take as many pictures as you like without having to struggle too much. The best part about a drone is that it easier to maneuver it and you can move it against the left or right or the top or the bottom without having to struggle or move too much. You will not need to disturb any ceremony that is going on while you’re using your drone to click the pictures. This helps you to make the most out of the drone and capture some of the best pictures and candid moments that are most cherished. When you are flying your drone up in the air, the consistency of the light is constant which means that the pictures will all look the same. It makes it easier for you to adjust the filters of the lens to click the images that will be the most beautiful of them all. Light will not affect any of the pictures because your drone will be flying above the people that you are trying to capture and it will have the same light throughout the ceremony. Controlling a drone is also a lot easier which means that you will be more comfortable clicking pictures. In an outdoor wedding it becomes easier for you to use a drone to capture images because you don’t really have to move around to get these images and you just need to fly your drone. Your drone can also be used to capture videos and this is one of the most effective and interference free methods for you to do so. Photographers are usually asked to capture videos as well and it becomes difficult for them to click pictures and capture videos at the same time, however with the use of a drone you will be able to do both these jobs without having to stress too much or worry about missing another important event because you’re trying to do it with one thing. All you need is a small team of people and highly effective drones that you will be able to purchase that will help you to capture every moment perfectly. 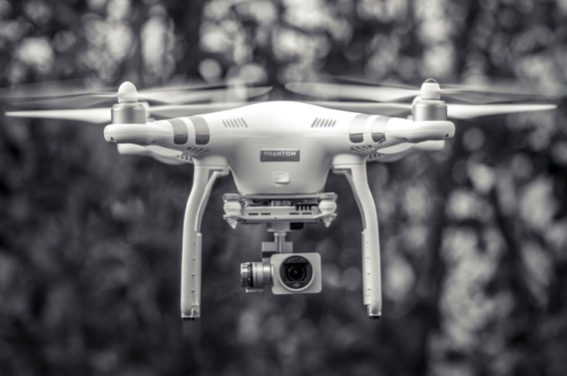 When you are choosing a drone for photography or videography, you need to make sure that you don’t choose a very heavy drone because these will be easier to operate and they will be able to enter smaller spaces too. While drone photography is not become a trend it is something that is sure to catch on and more and more people will be showing interest in this. Once you become a professional with drone photography it is something that you will be highly skilled at and people will want to hire you in order to get your services. This is a unique way to capture pictures and it is also one of the best and most effective ways that people have tried in recent times. There is not a lot of time as well as investment of money that is required in order for you to capture images using a drone which is why it is one of the best solutions. Some weddings at outer locations will capture their photography using drones because it helps to cover more people and it helps to capture the true essence of the function. The best part about using a drone is that you do not have to physically go and try to get in the way of people while clicking the photographs. You can get more candid images and it helps you to get pictures that truly speak about the moment. These days many people like to capture photos or shoot videos with the help of drone. Drones are used for different purpose such as photography, disaster management, agriculture, aviation, research purpose, etc. It is a gadget of new era and proved to be useful in both commercial and non-commercial purpose. Here, you have well explained the benefits of photography with the help of drone. Previous post: What is the Future of Temporary Event Wi-Fi? Next post: How Technology Is Shaping The Future Of Education?